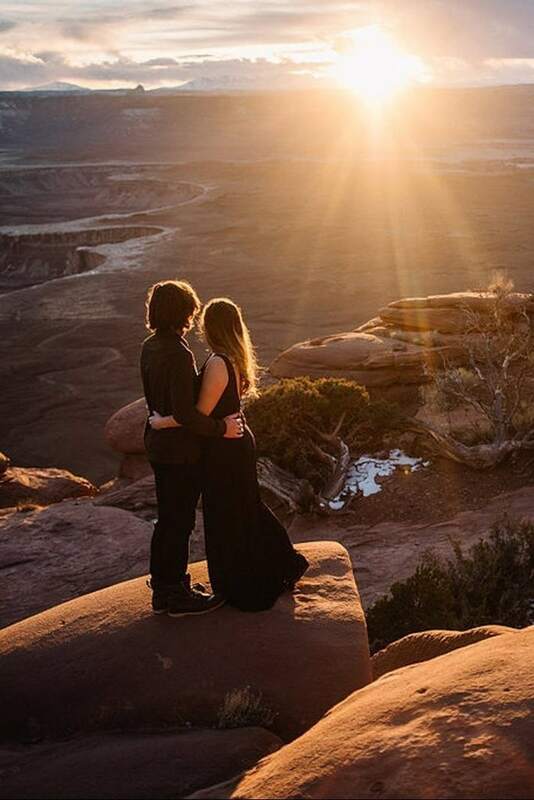 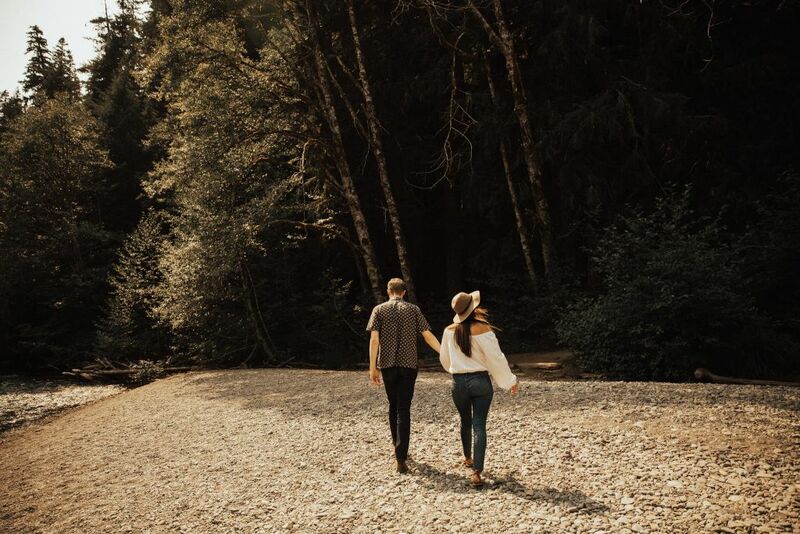 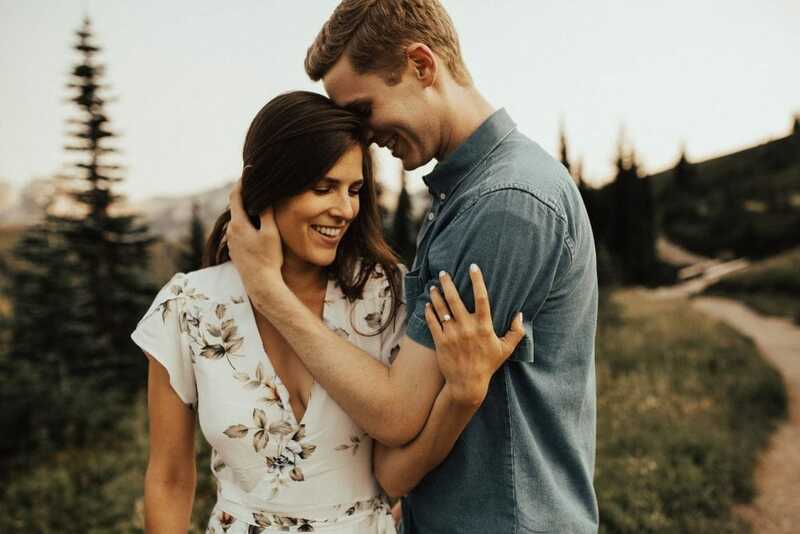 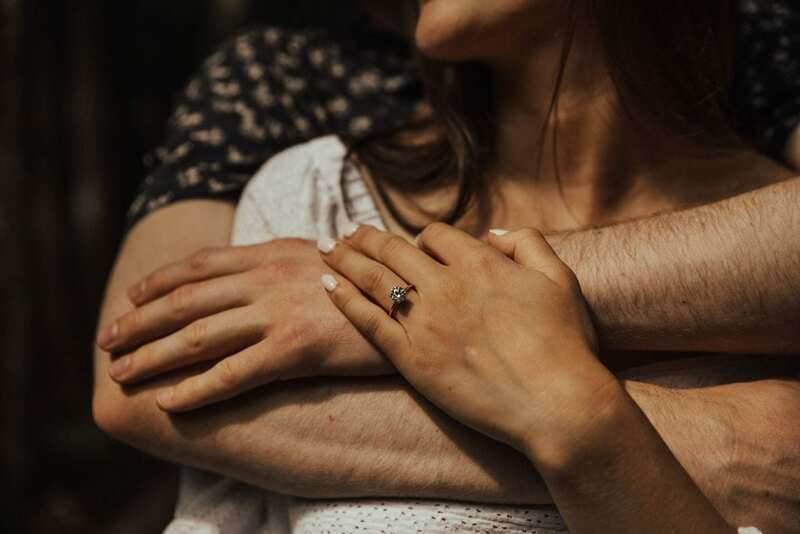 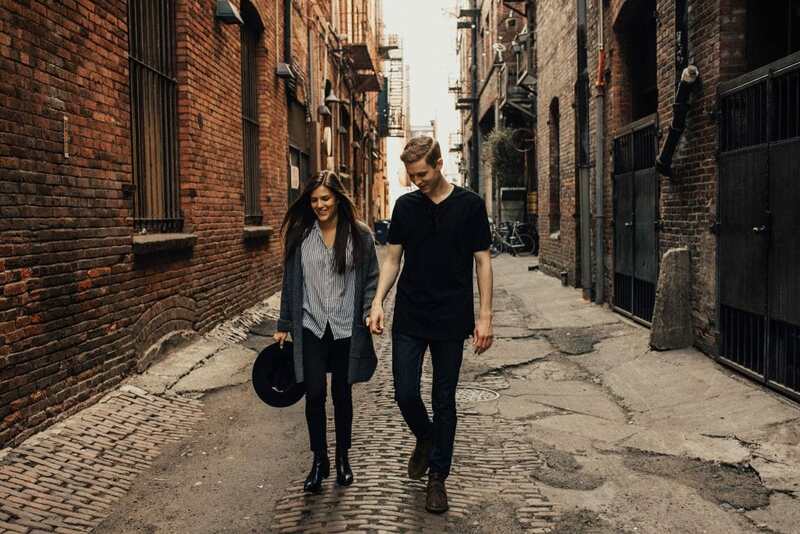 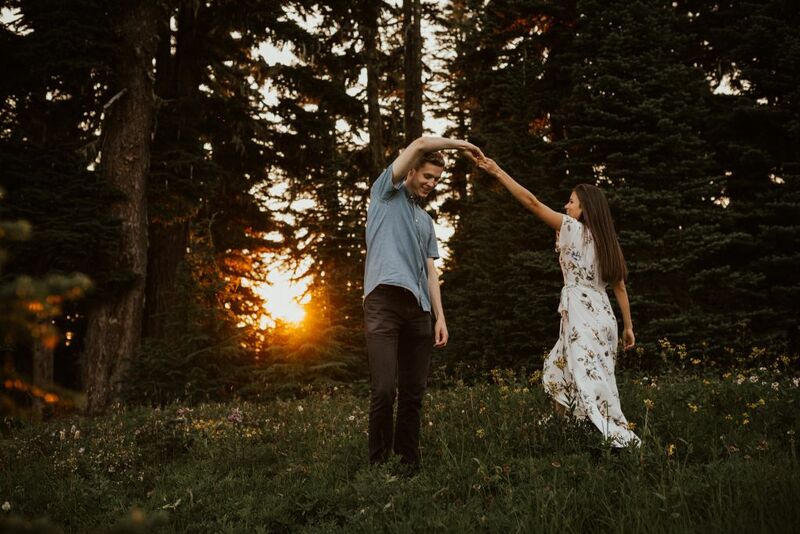 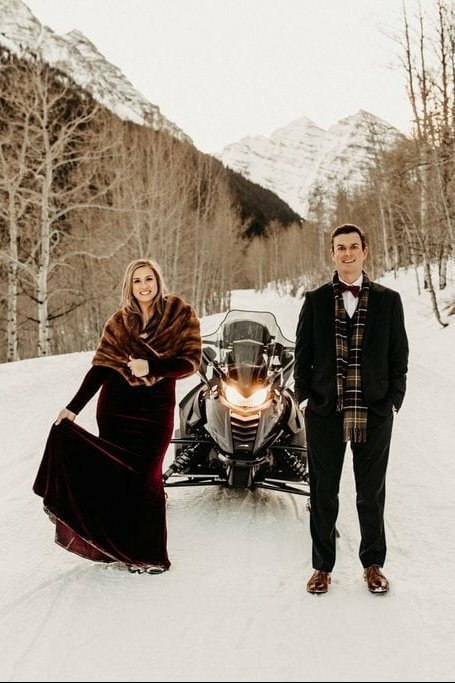 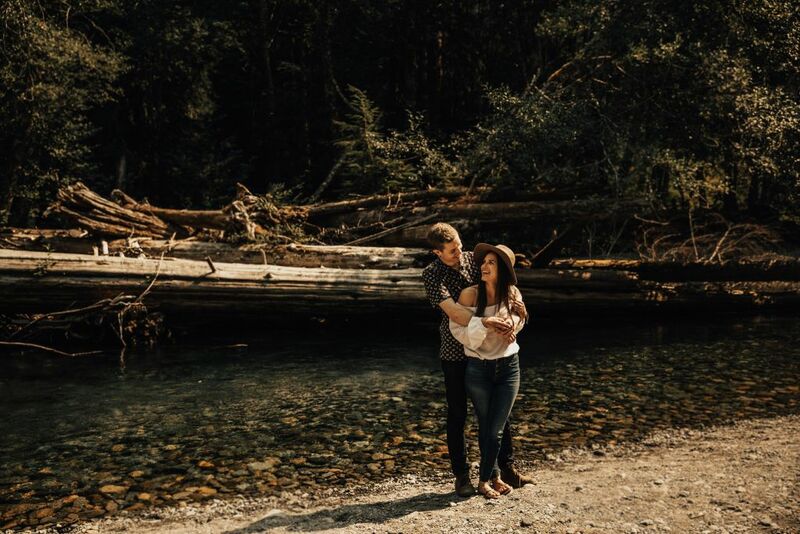 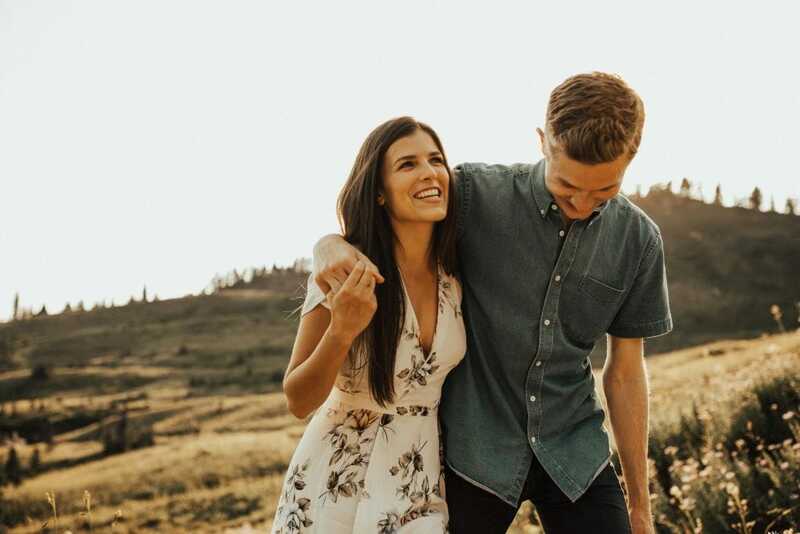 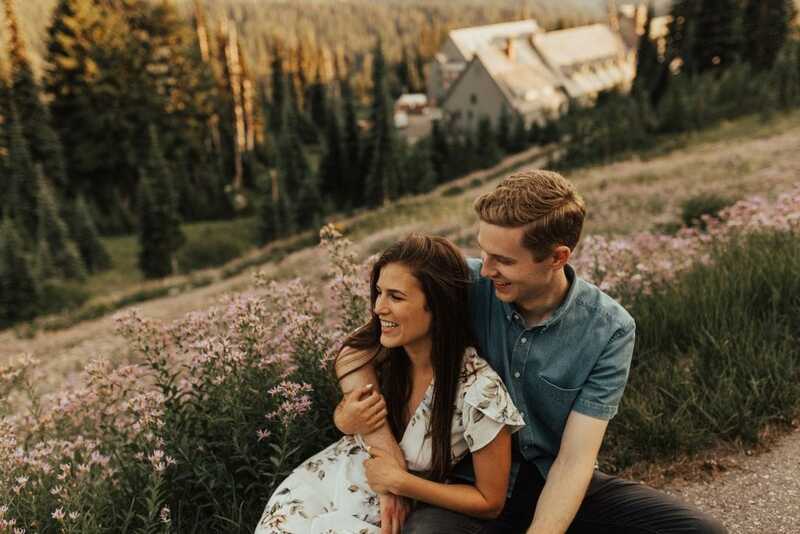 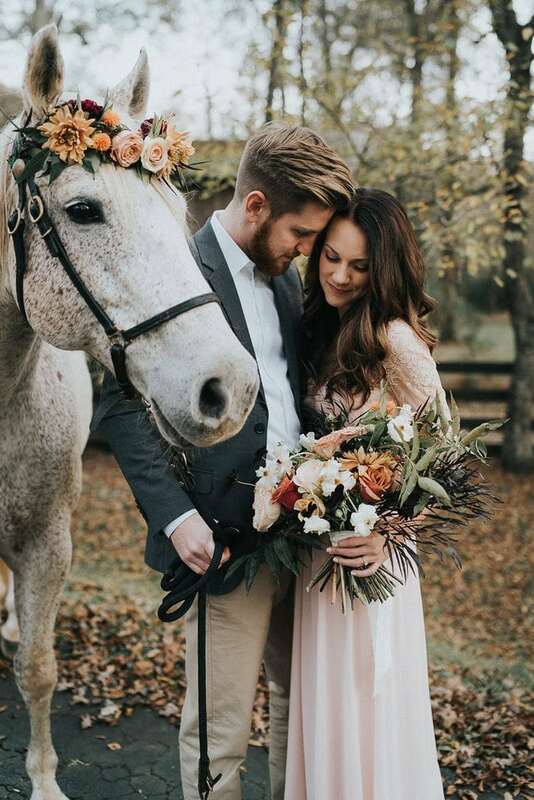 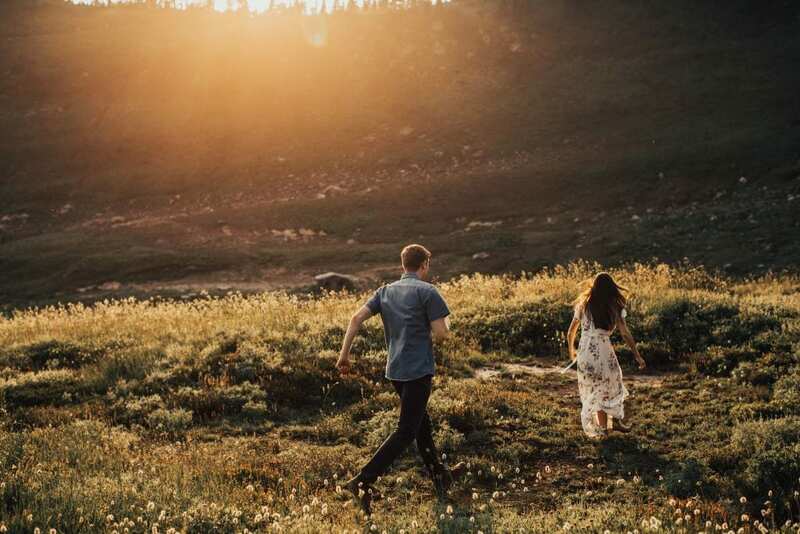 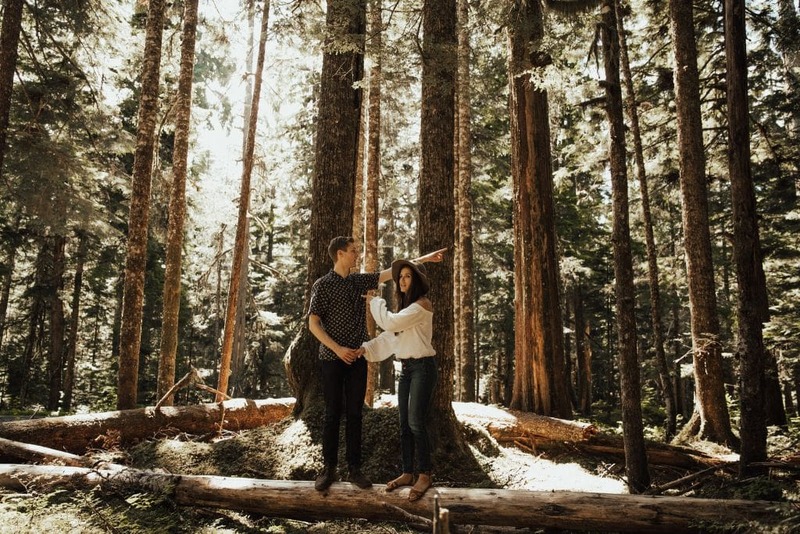 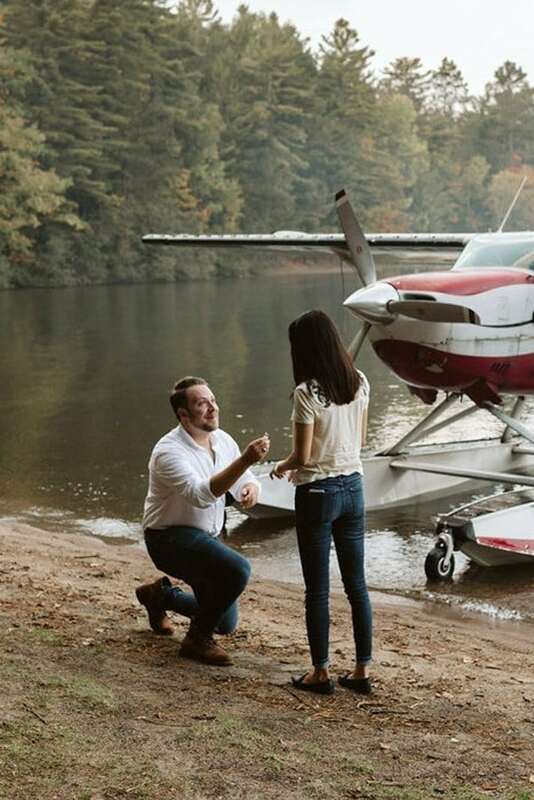 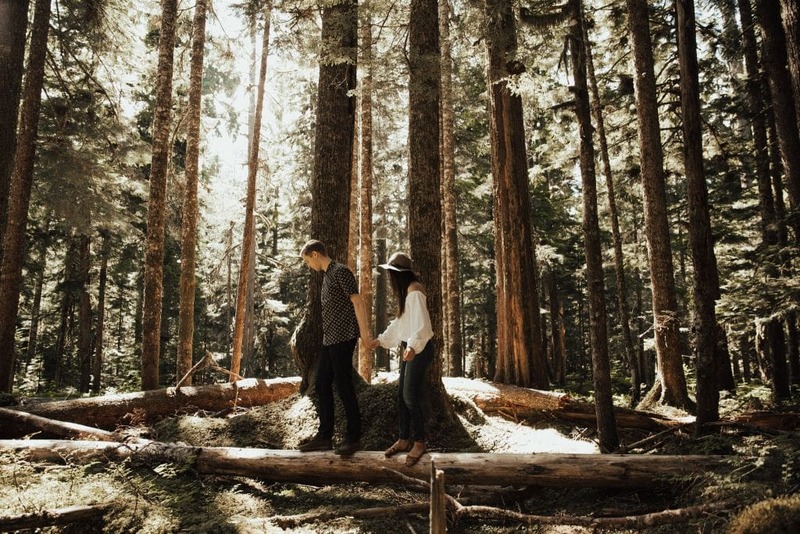 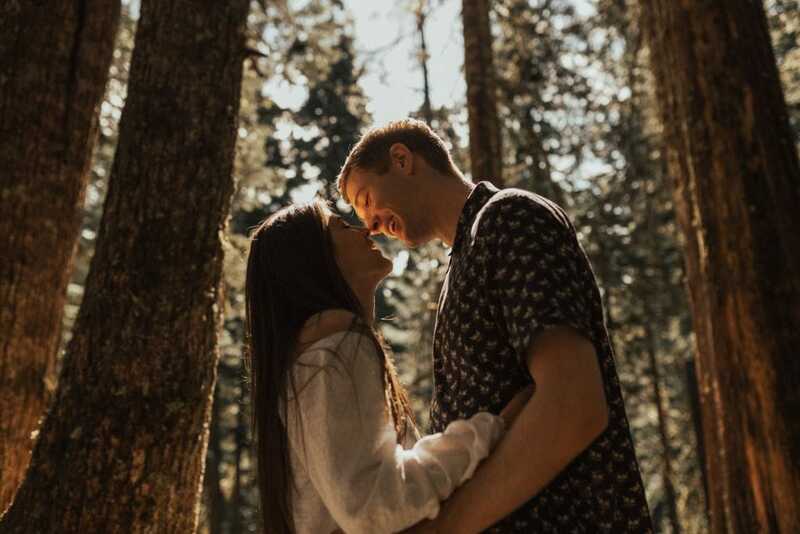 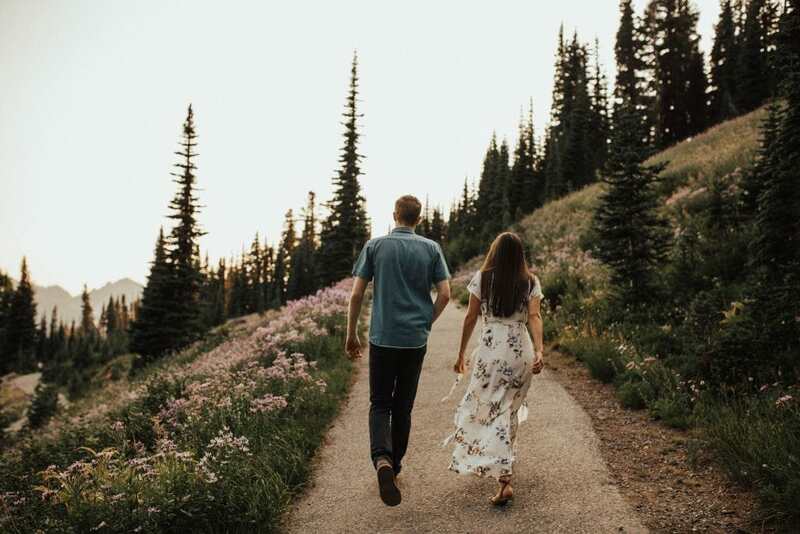 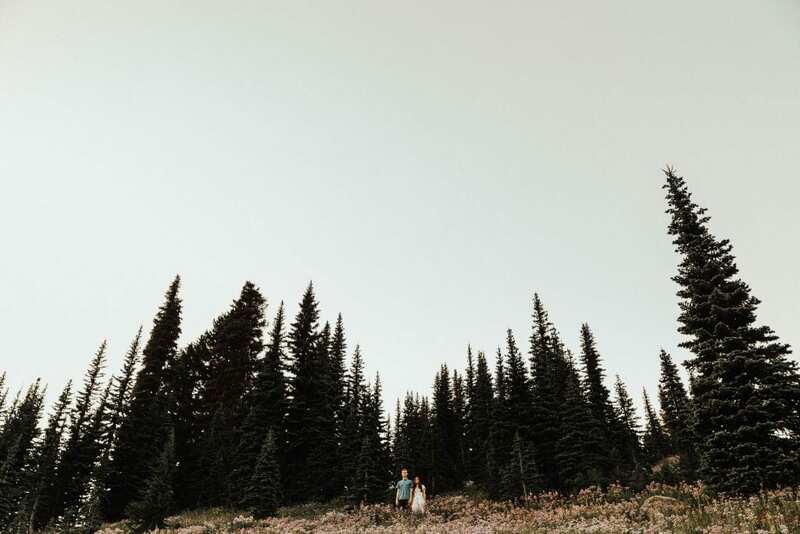 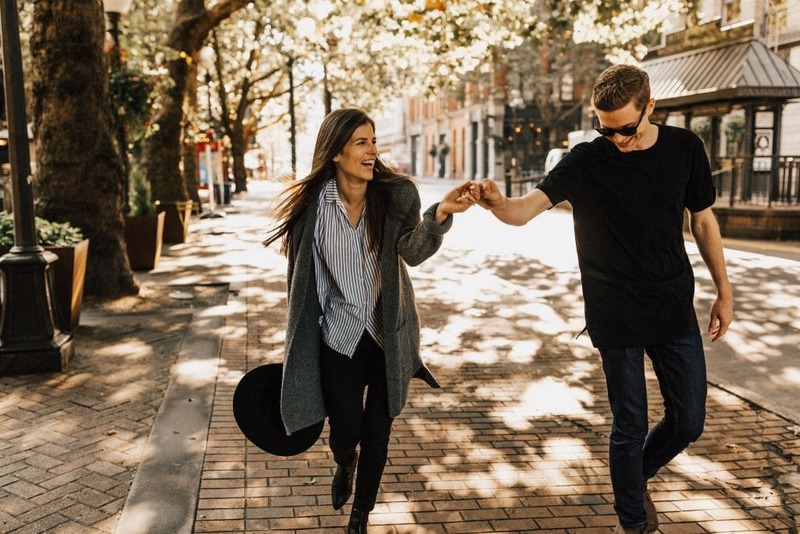 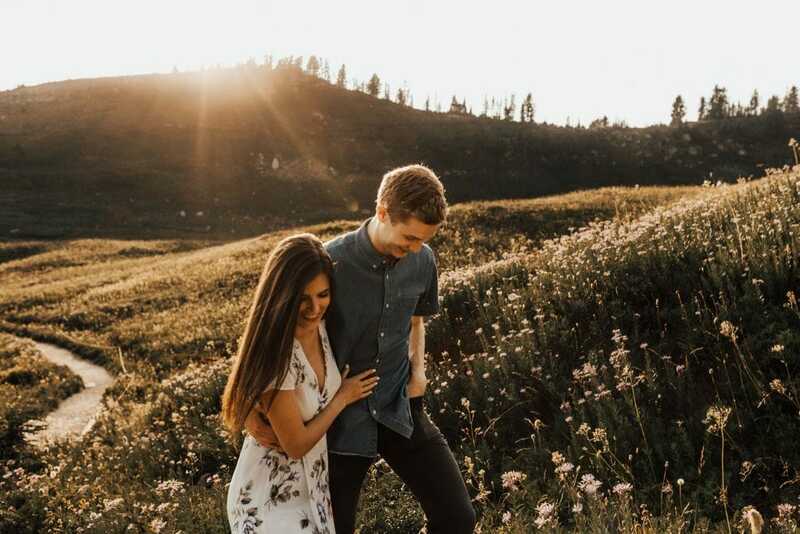 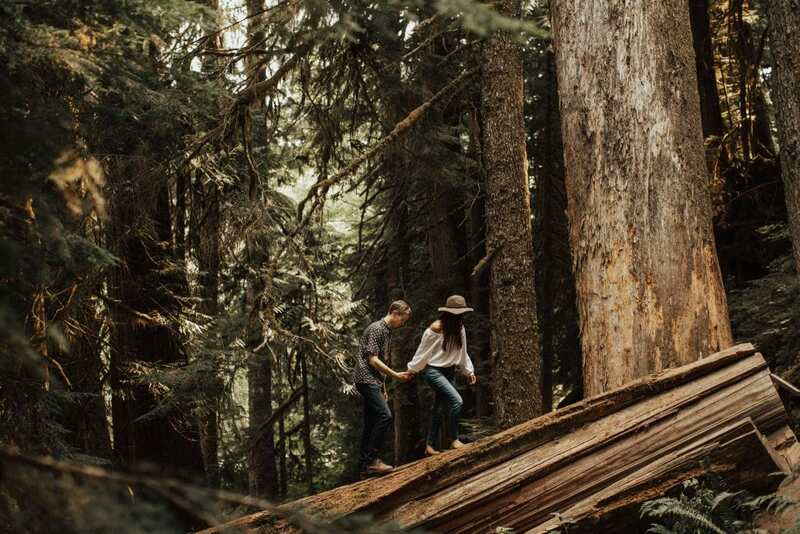 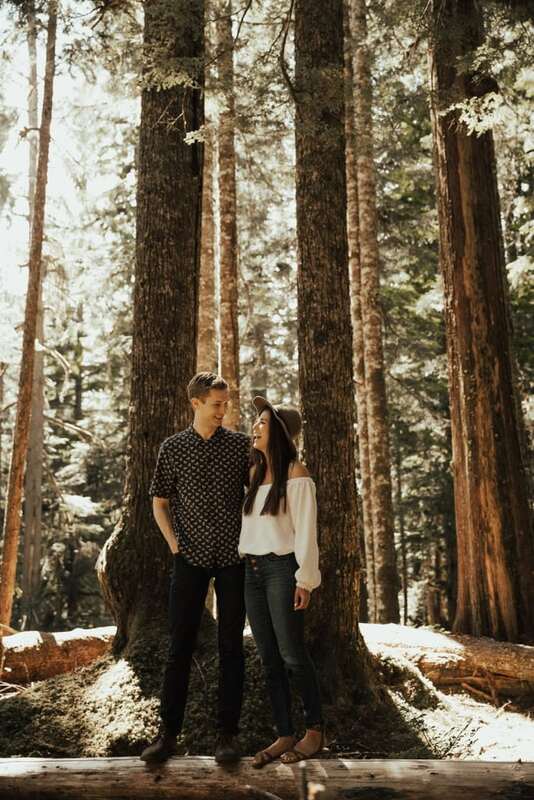 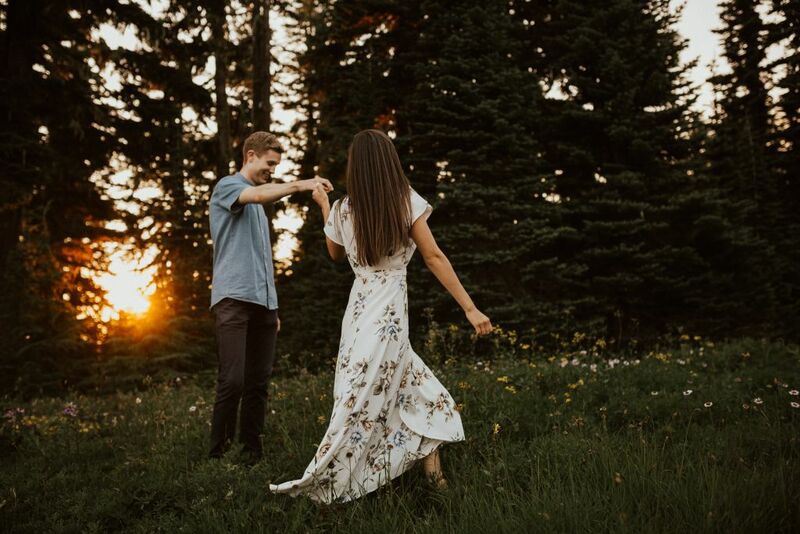 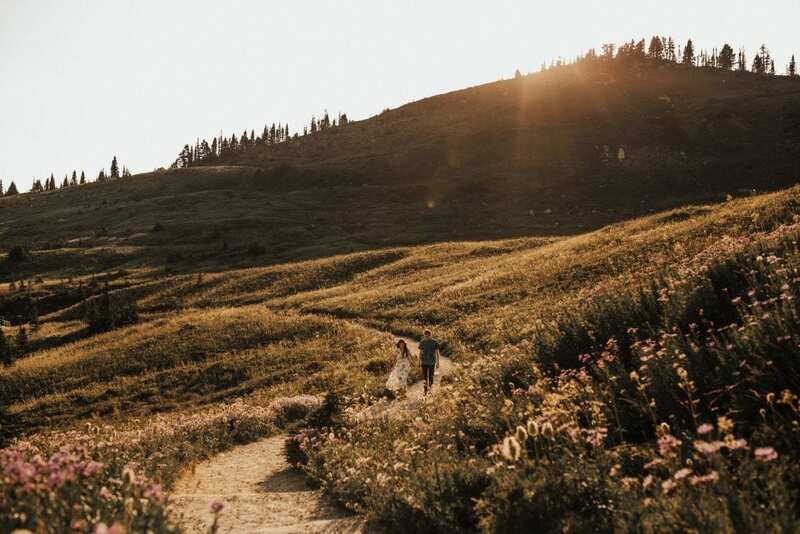 When Brenna and Toby booked Brogen Jessup for their Palm Springs nuptials, they asked if she would first fly up to Washington for an engagement session in their home state. 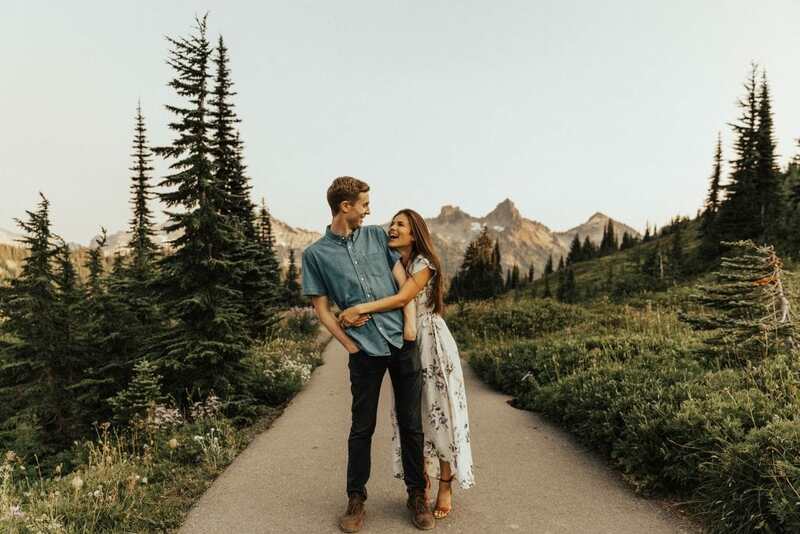 Brogen was more than happy to oblige, and she met the couple in Seattle for a few days of adventure. 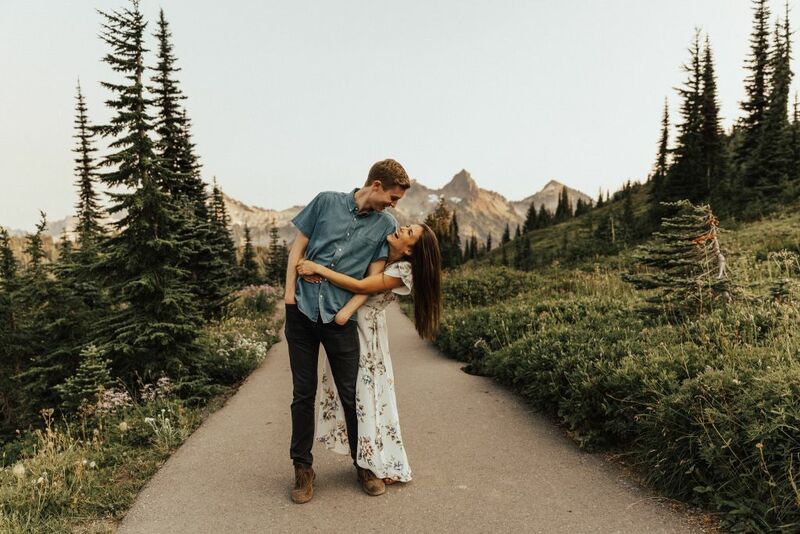 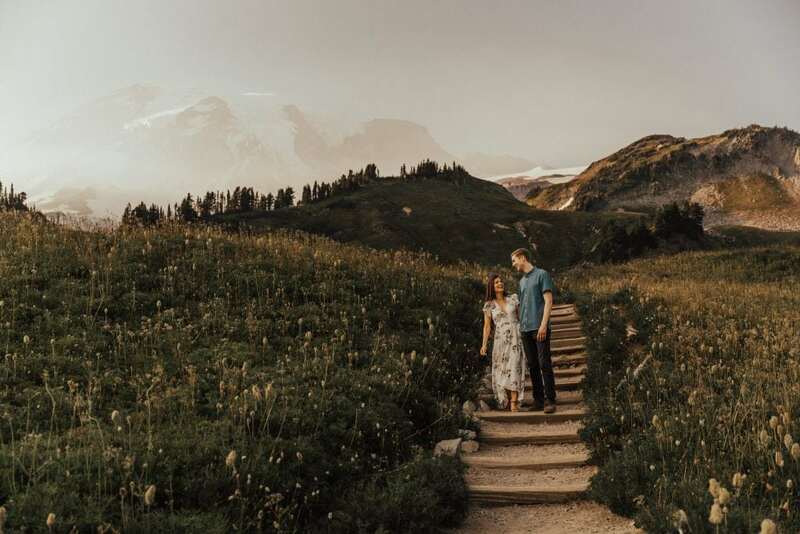 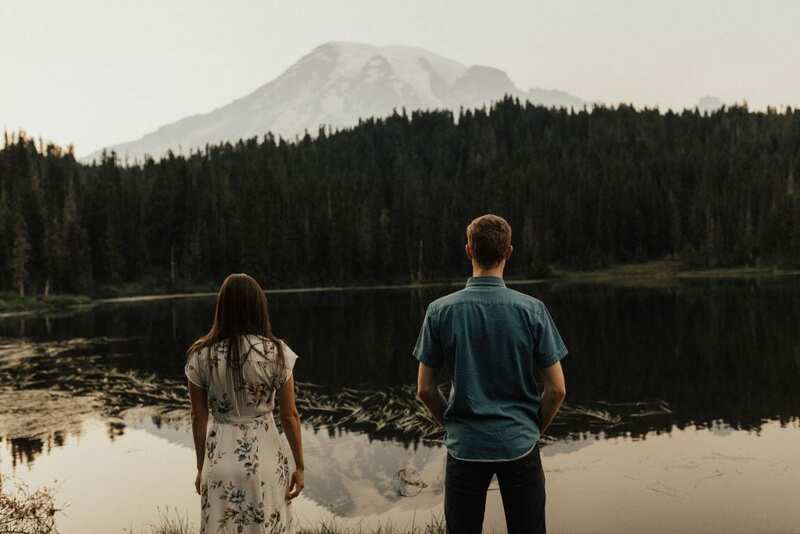 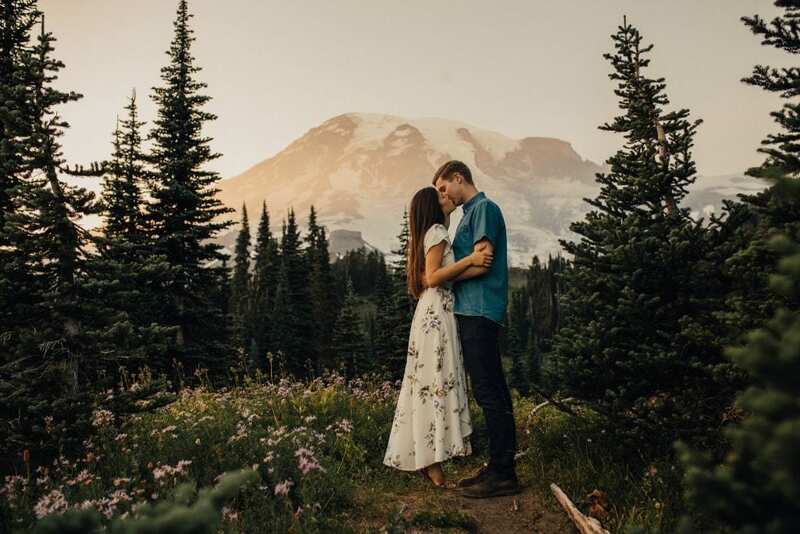 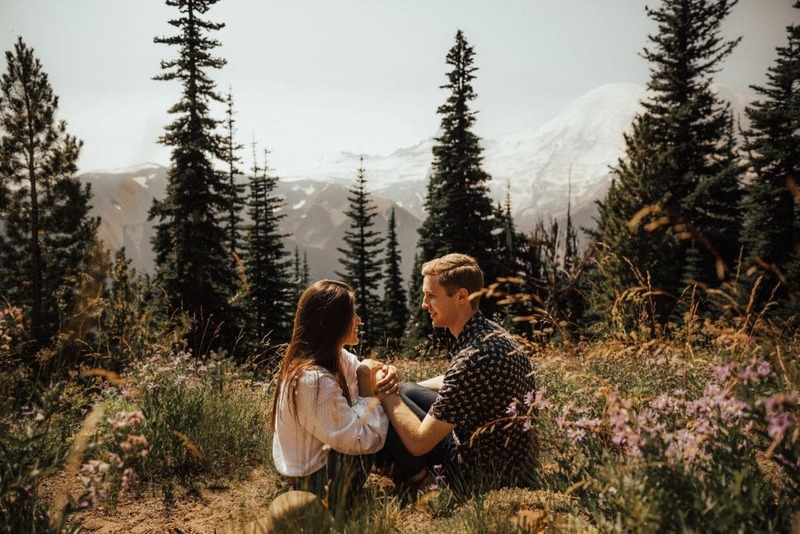 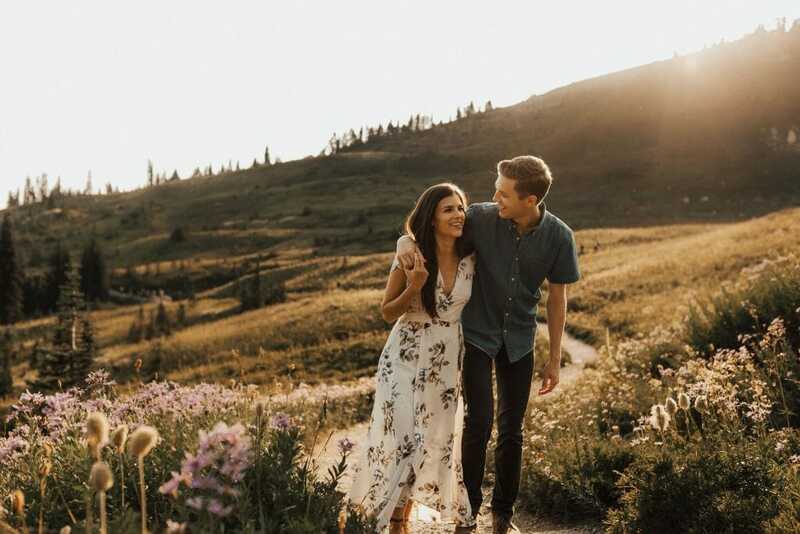 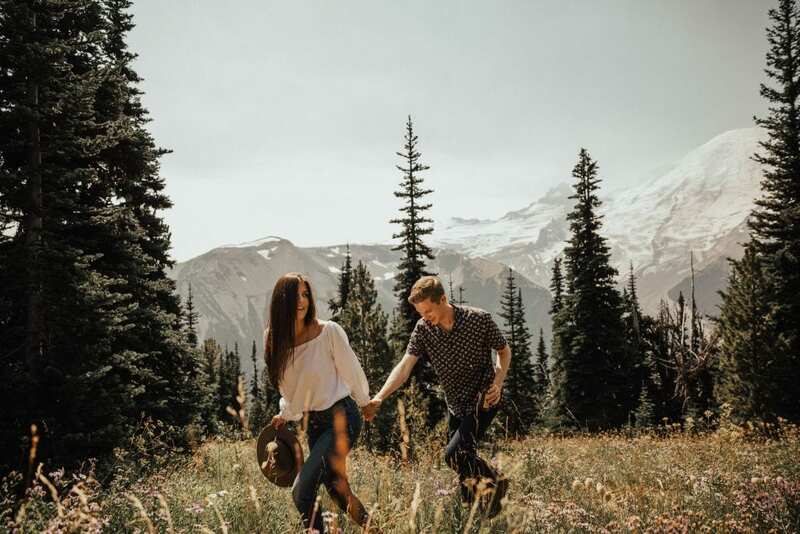 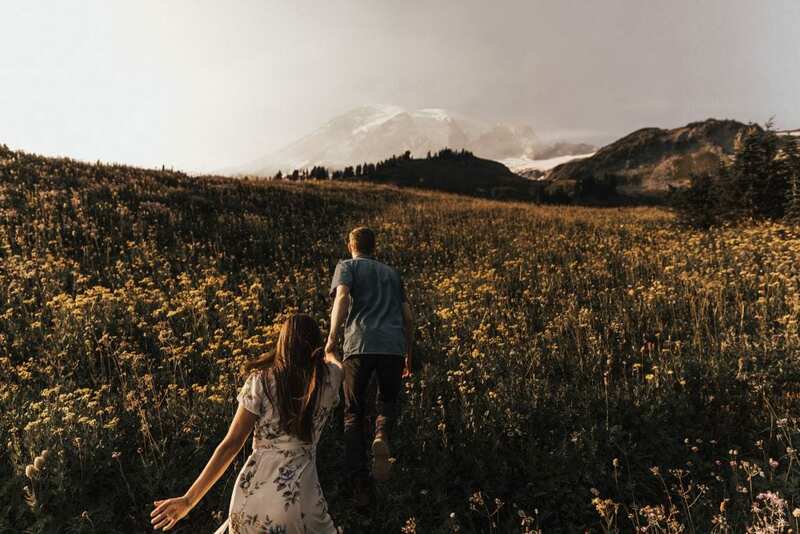 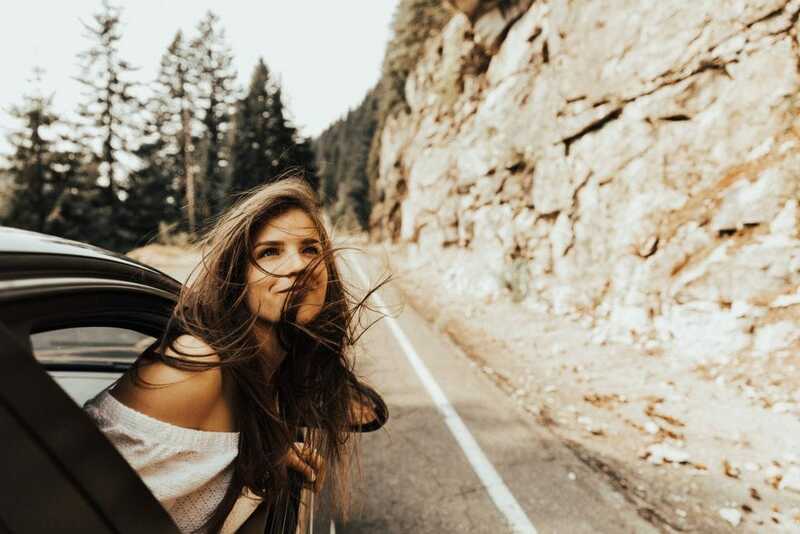 They explored the city before heading up the winding roads to Mount Rainier where the wild flowers were in full bloom, providing the most enchanting backdrop for this session. 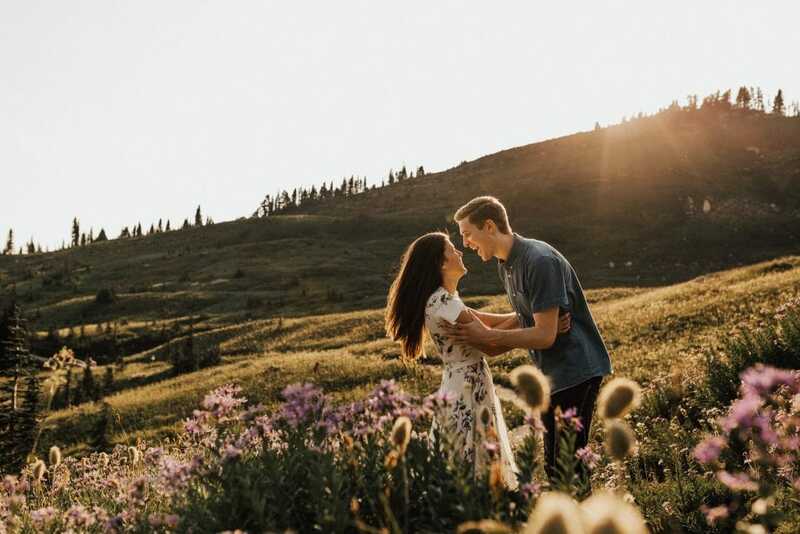 Thank you to Brogen Jessup for sharing this session, and congratulations to Brenna + Toby!